We’ve made another fantastic green smoothie for those of you who want to add a little more greens to your diet! 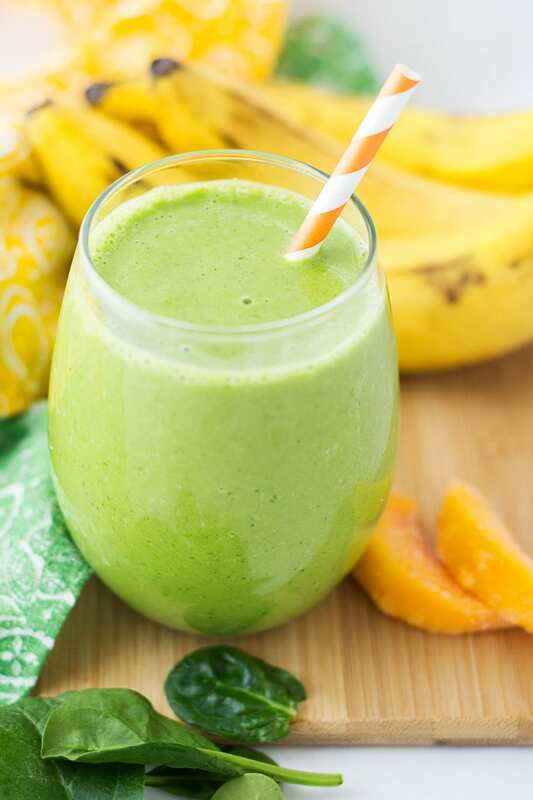 This Peach Spinach Smoothie is packed full of baby spinach, but you don’t even taste it. The flavor comes from the sweet peaches and banana, and it’s delicious. Try it for yourself! While I love baby spinach and will add it to drinks, salads and almost anything else, getting my husband to eat it is like pulling teeth. But I’ve been able to convince him to have it more often with the yummy green smoothies we’ve been making lately, like this Strawberry Banana Green Smoothie. 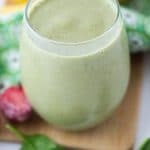 So, if you’re hesitant to try a green smoothie (or if you love them and just want to try something new), this Peach Spinach Smoothie will really hit the spot. It’s sweet and mellow, and the spinach just blends right in with the rest of the ingredients. You won’t taste it! You may see down in the recipe below that I suggested that you blend the spinach with the milk first. 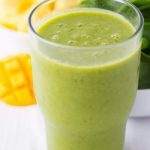 There’s a very practical reason for this: If you toss all the ingredients in the blender together, you may end up with chunks of spinach in your smoothie. While that may be okay for most of us, for the kiddos and reluctant greens eaters (cough, cough, hubby), blending it well is super important. So make sure you do that first! 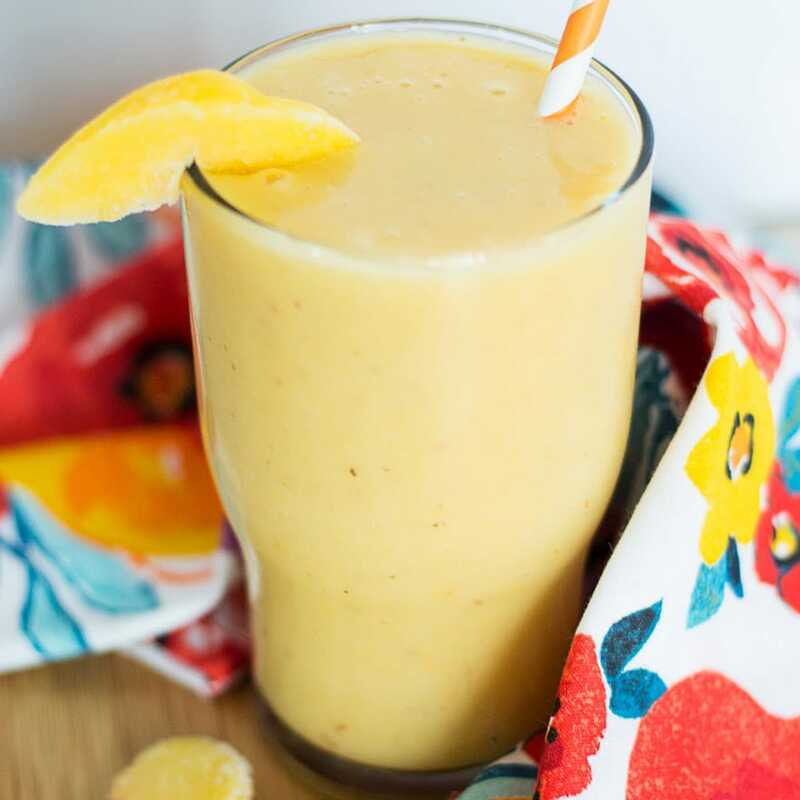 Use frozen or fresh peaches for this peach spinach smoothie. While we used frozen, fresh works fine and actually gives it a little more flavor. They’re just not in season for us right now. Boo! But if you do use fresh, non-frozen peaches, you’ll need to add some ice to your smoothie (about a cup). Freeze your bananas first. I recommend this for any smoothie recipe that calls for a banana. I think I mentioned before that I keep Ziploc bags of bananas in my freezer all the time. It’s so handy to just reach for one whenever I need it! I freeze overripe bananas as well as just ripe ones. The overripe bananas are extra sweet, though. 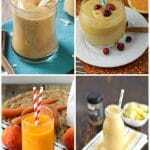 Thin smoothies with milk or juice. In this instance, you’ll want to use a little extra almond milk if your smoothie is too thick. 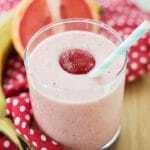 Personally, I don’t think there’s such a thing as a smoothie that’s too thick! 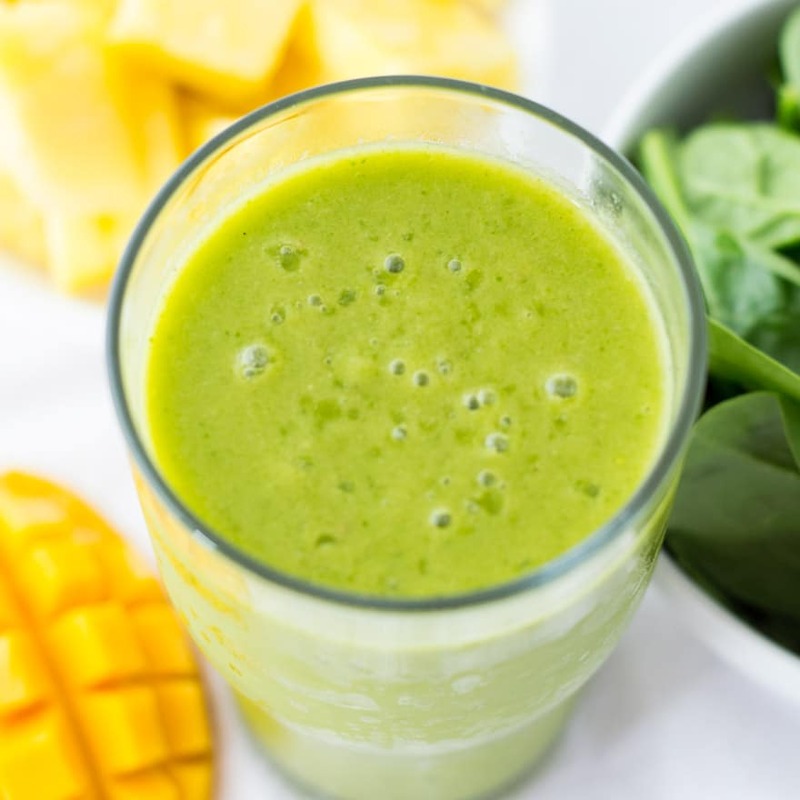 Ready to make your own peach spinach smoothie? 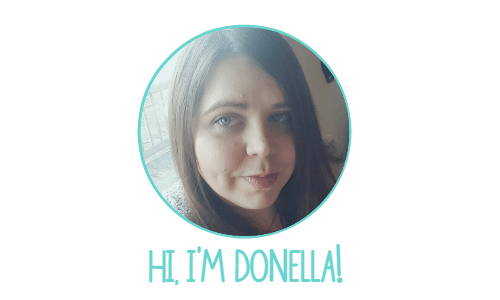 Get the printable recipe card down below. It has all the measurements and directions you’ll need for a fabulous green smoothie. 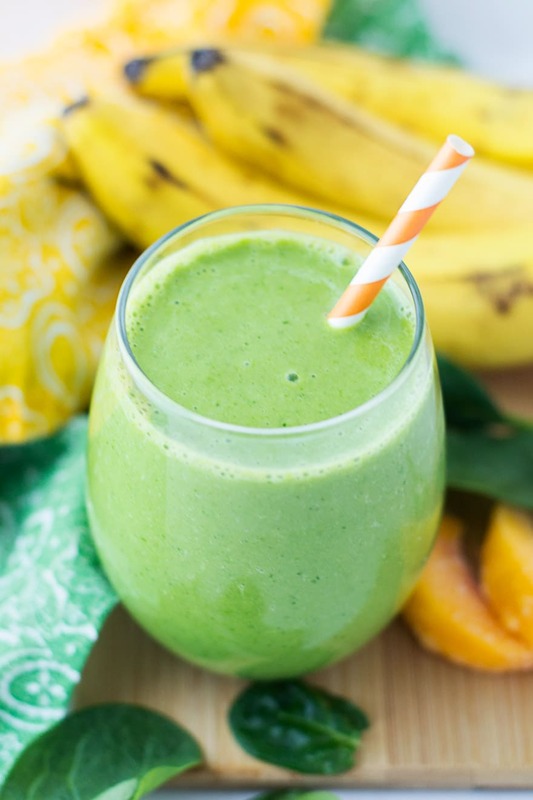 This Peach Spinach Smoothie is so good for you! 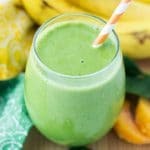 All you taste is the sweetness of the peaches and banana, but you'll get all the nutritious benefits of those healthy greens, too. Add milk and spinach to blender first. Blend for 30-60 seconds until there are no longer chunks of spinach in the milk, and it is a smooth consistency with a light to medium green color. Add frozen banana pieces and peach slices. Blend for 60-90 seconds until thick and smooth.